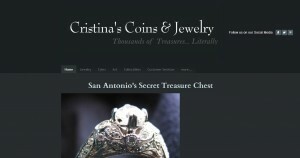 Cristina’s Coins & Jewelry address, phone, website, and more. We are pleased to open our wonderful estate and jewelry store to the world! We will continuously be adding items from our inventory to our online store so please check back regularly to see what new treasures are available! While you peruse our items, please buy in confidence knowing that our family business has been operating 26 years without paying for advertising. We keep our customers happy so we can benefit from their ‘word of mouth’ advertising! 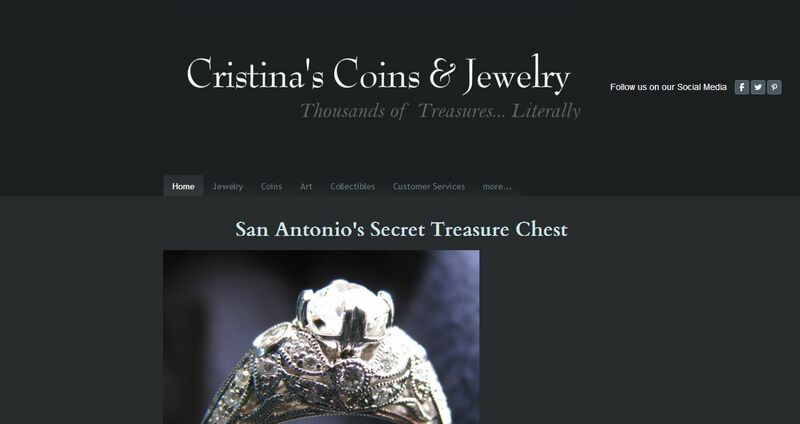 Collectively, the six family members who operate Cristina’s Coins and Jewelry have nearly 200 years of experience in the estate and collectible business. We strive to provide our customers with fine quality, competitive prices, and as much provenance per item as our expertise and research savvy is capable of.